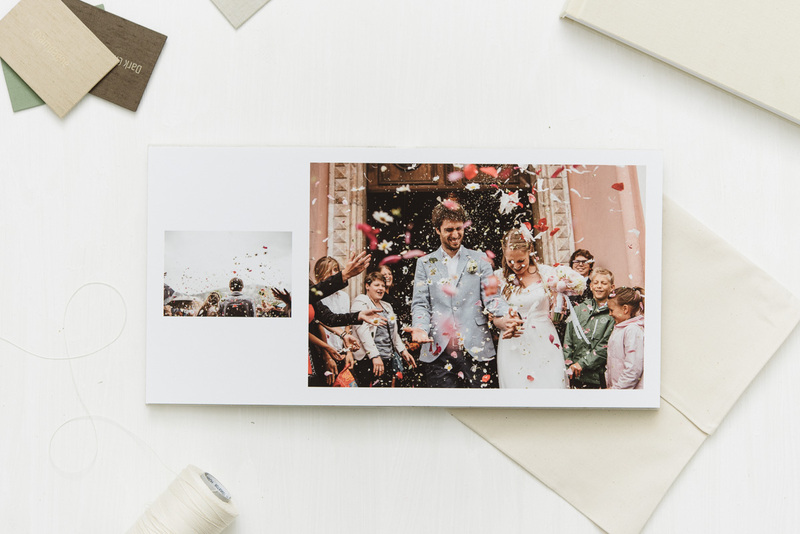 Ederra book is lay flat photo book printed with either pigment or fine art pigment inks. Fine art pigment inks means that high quality inks are used which result in more vivid, alive, sharp colors. Since it is lay flat you can design over the crease and there will be no discoloration. Paper is a photo paper (not archival fine art like Belle) in clean white with a premium range of unique quality. It gives high resolution and photo realistic inkjet printings with vivid colours and high picture quality. You can choose among two thicknesses of paper: 150 gsm and 230 gsm. Pages are bond with archive grade tapes and glues only. Ederra's pages come with protective sheets in between to keep your book safe.